How to convert your Driver license in New Zealand. To be able to drive on New Zealand’s roads, you need a valid driver license. It must either be in the English language, be accompanied by an approved translation, or accompanied by an international drivers permit. 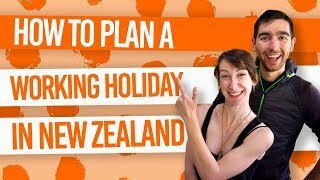 However, for those staying for longer than 12 months in the country, getting a New Zealand driver license is essential and is required to legally drive on New Zealand roads after 12 months of being in the country. Even if you are not staying that long, a New Zealand driver license is one of the rare valid forms of ID in New Zealand, plus it makes a great souvenir to take home with you! But how to convert your driver license in New Zealand? Thankfully, getting a New Zealand driver license is pretty easy. We’ll go through all the steps in this guide on how to convert your driving license into a New Zealand driver license in this article. The most common driver license class is Class 1. However, there are different classes for driving different vehicles. The classes 2, 3, 4 and 6 all require you to provide a medical certificate when applying to convert your diver license. The Automobile Association (The AA). Vehicle Testing New Zealand (VTNZ). Vehicle Inspection New Zealand (VINZ). Go to the NZ Transport Agency website to find your nearest agent. Overseas driving license/original translation of driver license. [Update: Note that your overseas driver license needs to be at least 2 years old]. Valid evidence of your identity – your passport will be the easiest option. Photocopies of both of the above. However, most agents will photocopy this for you. If required, a current medical certificate. You will only need a medical certificate if you have a medical condition that could affect your ability to drive safe or if you are applying for a Class 2, 3, 4 or 6 license. To get the certificate, you must see a New Zealand registered medical practitioner – basically, go to a New Zealand medical centre – and ask your doctor to complete a NZ Transport Agency medical certificate. They will have copies. Remember to compare prices of medical centres, as they tend to vary. You can either get the Application for the conversion of an overseas driver license form from one of the agents mentioned above or print out the form from the NZ Transport Agency website. The form is quick to fill out so it is not much trouble to complete the form when you visit the agent. If you have ever had a NZ driver license before. Willing to donate organs in the event of death. Date of birth, town and country you were born. Your overseas license details, such as license number, issue date and expiry date. (Note that your license needs to be at least two years old). What type of license you are applying for. In most cases, if applying for a standard car driving license, tick “full license” in Class 1. Whether you wear contact lenses or glasses for driving. Do you need to complete a theory and practical driving test? 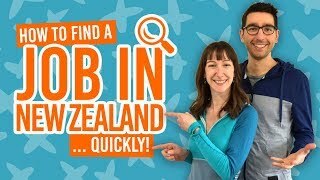 If you come from the following countries, you do not have to pass a theory of practical driving test in New Zealand: Australia, Austria, Belgium, Canada, Denmark, Finland, France, Germany, Greece, Hong Kong, Ireland, Italy, Japan, Luxembourg, the Netherlands, Norway, Portugal, South Africa, South Korea, Spain, Sweden, Switzerland, the UK or the USA. You will need to pass the theory and practical if you do not come from the countries above, or if you are converting a heavy vehicle license from any country. Finally, you may have to take a driving test if your overseas license is less than two years old. Hand in the paperwork and do the eyesight test. At your selected agent, you must go to the desk with the application form (DL5), passport, ID, photocopies (if you have them), and a medical certificate (if relevant). The agent will type your details into their system from your form, and all that good stuff. Until you are asked to complete an eyesight screening check. This quick check requires you to look into a machine, much like a pair of giant binoculars. When looking into the machine, you will be asked to read some letters and say whether the flashing light is on your left or right. Quick, easy, done! You’ll now provide a signature and have your picture taken for the driver license. Good news is you can smile! Last of all, you need to pay the fee for the New Zealand driver license. For an overseas driver license conversion, the fee is NZ$52.10. Yes, very specific. The agent at the desk will give you a temporary New Zealand driver license, which you will need to sign. Then your license should arrive within 20 days. Yay!